others may have access to this incredible collection. 3St. Petersburg Coastal and Marine Science Center, U.S. Geological Survey, St. Petersburg, FL. 4Biologische Anstalt Helgoland, Alfred-Wegener Institut für Polar und Meeresforschung, Helgoland, Germany. 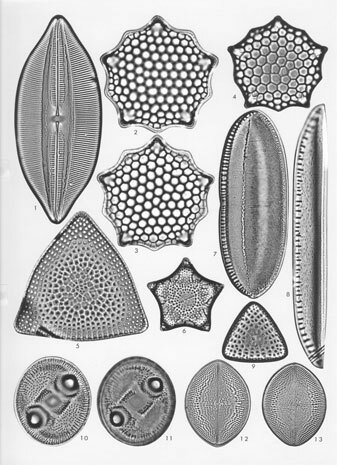 Stidolph, S.R., Sterrenburg, F.A.S., Smith, K.E.L., and Kraberg, A., 2012, Stuart R. Stidolph Diatom Atlas: U.S. Geological Survey Open-File Report 2012–1163, available online at http://pubs.usgs.gov/of/2012/1163/. The datasets contained in this report have been approved for release and publication by the Director of the USGS. Although these datasets have been subjected to rigorous review and are substantially complete, the USGS reserves the right to revise the data pursuant to further analysis and review. Furthermore, they are released on condition that neither the USGS nor the United States Government may be held liable for any damages resulting from their authorized or unauthorized use.